Let’s face it: first impressions matter. If you’re a business owner, it’s important to have nice vehicles when you perform your jobs. If you deliver goods, you need a reliable vehicle to make on-time deliveries. If you are a rental car company, your vehicles need to be reliable and look nice. If you rent out moving vans, they need to be cleaned and engines checked. If you are a contractor, a clean vehicle speaks volumes about how you’ll function on a job site. 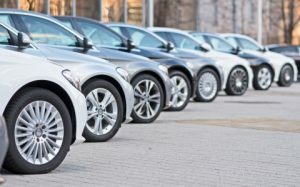 If you’re a business owner who has one or more vehicles, you understand the importance of fleet and industrial services. Vehicles need to be impeccably maintained and serviced, cleaned and free of dents and scratches, and properly quality tested to ensure functionality. If you’re in the San Marcos area, CID Auto Body & Paint offers exceptional fleet and industrial services to ensure your business makes the best first impressions. Quality. CID Auto Body & Paint offers up the best in quality control, effectiveness, and pricing. Every job from the vacuuming and washing of your vehicles to major repair work from an automobile accident is given 110 percent of our effort. We make sure every vehicle is returned to you at a higher standard than before it needed service. Integrity. At CID Auto Body & Paint, we promise to honor all of our commitments and give you a fair price for our services. We don’t hide any of our costs or provide wishy-washy quotes. You’ll know up-front our best estimate of the work required for pricing and timing. Service. Here at CID Auto Body & Paint, we understand that time is money. You need your vehicles back on the road as soon as possible. We promise to work efficiently and effectively to get you moving once again. Experience. All of our technicians here at CID Auto Body & Paint have years of experience in all facets of fleet and industrial services. We know how to get the job done right and in a timely manner. We stay abreast of the latest technology in vehicles, and we offer on-going training to our employees. Our goal is to ensure no hiccups arise in your fleet services. Our fleet customers include both small and large vehicles and range from rental, leasing, transporting, and much more. We offer truck repair and semi truck repair services from engine diagnostics to periodical vehicle maintenance to collision repair and glass replacement. CID Auto Body & Paint even has paintless dent removal (PDR) services if your fleet got stuck in a hail storm. And if your trucks carry heavy and abrasive cargo, we offer Rhino Linings as well. CID Auto Body & Paint has the expertise you need to keep your fleet running and producing, so your business can continue to grow and thrive. As the Top Rated Local® San Marcos Auto Repair Shop, we promise to meet your every need. Contact us today for all your fleet service needs!